The University of Nicosia (UNic), in Cyprus, already received the first tuition paid with Bitcoin from a South African student that will take an online MBA degree. The news was revealed by the institution, one of the largest accredited English language universities in the Euro-Mediterranean region, which recently started accepting cryptocurrency. “On November 27, Francois Rossouw, a new UNic student in South Africa, made a payment of 1 BTC, the equivalent of €670 ($910), toward tuition for an online Master of Business Administration degree”, the university said in a press release published by Bitcoin Views. This is exactly what we expected, that initial adoption would occur from students who are attending our online degree programs from certain countries in Africa. In some countries, international payments are extremely cumbersome and given that certain students pay on a monthly installment plan, transmission fees end up reaching 5 to 10 percent of their payments and are highly inconvenient. The intention of this initiative is to ease transmission difficulties and to build our own practical knowledge about this field. On the other side, the South African student assures he was “honored to be a part of this historical occasion”. According to Francois Rossouw, “being able to pay for a world-class tertiary education with Bitcoin was a dream of many, but few believed that it would become a reality so soon”. “I am not surprised that it was the University of Nicosia, with their history of trendsetting and innovation who took the first step. I commend them on breaking the shackles of traditional payment barriers”, he added. Besides accepting Bitcoin, the university will also be launching the first Master of Science Degree in Digital Currency during the Spring 2014. 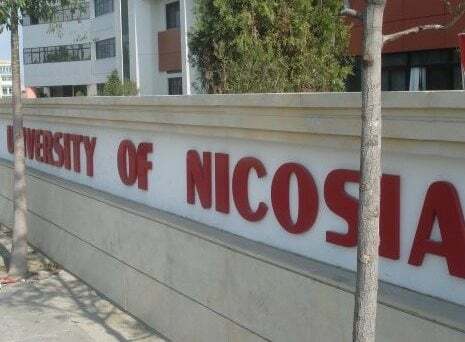 Francois Rossouw is convinced that “this attitude will attract some of the brightest minds in the Bitcoin world to study at the University of Nicosia”. “The payment made to UNic for my tuition was instant, borderless and seamless. The UNic staff was incredibly helpful in their correspondence and making sure all my questions were answered swiftly. I look forward to seeing this institution continue to grow as a hub of innovation firsthand”, he concluded. But the news isn’t over. As part of the institution’s broader Digital Currency Initiative, the university also wants to contribute to the creation of a “comprehensive framework for developing Cyprus into a hub for Bitcoin trading, processing and banking”, adds the press release. To do so, UNic hopes to count with Cyprus government and the country’s relevant stakeholders.